Focus on flooring when selling Highlands NC real estate. Flooring is one of those things. In fact it is actually a very big thing. Before a potential buyer ever walks through the front door of your Highlands NC home for sale the floors should be in great shape. This may mean you have a little work to do on your part. It doesn’t matter if your floors are tile, carpet, or hardwood. What does matter is that they are clean and in great shape. This means that chipped tiles need to be replaced and grout needs to be cleaned. In addition, dirty carpet should be cleaned. Worn carpet should be replaced. Likewise, hardwood floors should be in great shape. If they are looking worn it is worth your while to have them refinished. 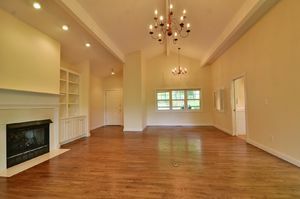 The important thing to remember when selling a Highlands NC home is that it needs to look its best. Effort is therefore needed to make the best impression. A home should be clean and organized. It should also appear to be well cared for. A fresh coat of paint and new flooring can do wonders. Ultimately if your goal is to sell your home in a timely manner while capturing as close to using price as possible then your home should offer appeal. Contact our team at Berkshire Hathaway HomeServices Meadows Mountain Realty today to learn more about selling homes in Highlands NC. We welcome the opportunity to update you on current market conditions while sharing a complimentary listing presentation at the same time. Let our team serve as your guide to selling Highlands NC real estate. Click here to read “Ready For Staging: 4 Repairs You Need Before Selling Your Home” from Realty Times.